Discussion in 'VOCALOID' started by luiysia, Apr 22, 2016.
just made this, any thoughts? did I get it right? what level are you? Mougeki Mero, VocAddict, keopi and 3 others like this. Zoku and luiysia like this. sailor _ravioli and luiysia like this. I knew most of level 5 before I knew any of level 4. Or level 1 for that matter. just edited to add another level, whaddya think? Buck, Zoku and na4a4a like this. Amazing ! 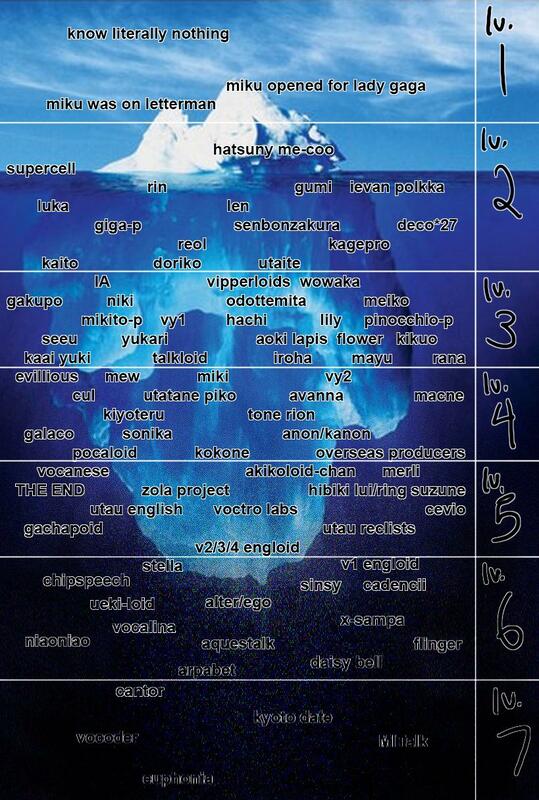 ~ Oh wait, and what about Revivos project and CV-04/Project if ? o_o"' In which level should we count these ?